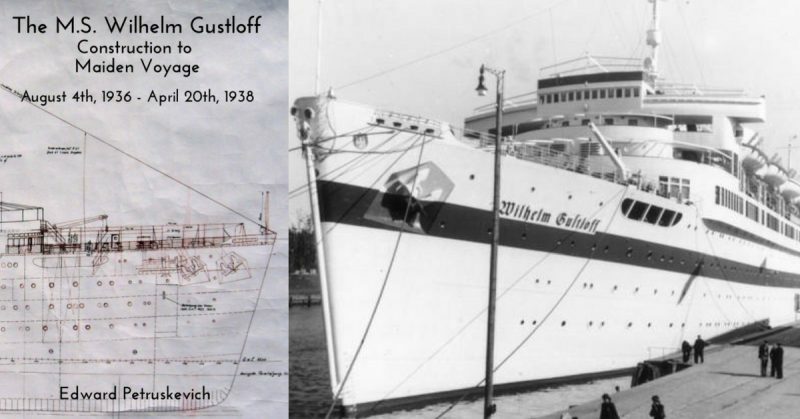 It’s good to see another volume on the life and death of the MS Wilhelm Gustloff from our friend Edward Petruskevich. 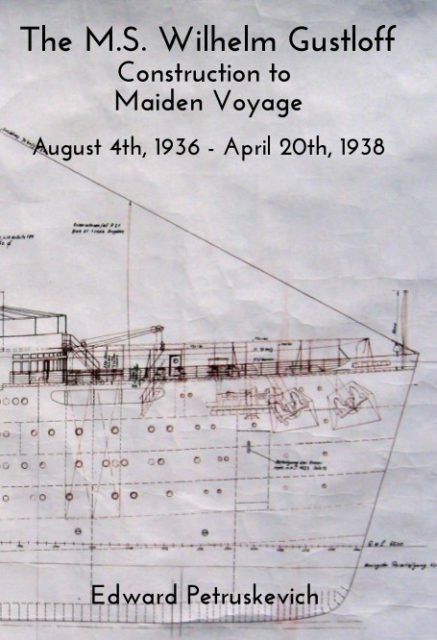 This time round he concentrates on the construction of the vessel and her maiden voyage in 1938. The ship was a prime source of propaganda for the Nazis, projecting Germany’s industrial qualities, her strong maritime traditions and a hefty degree of National Socialist kultur. It’s fair to say the ship enjoyed the status of a public relations weapon up against the new British Cunarders and the fine ships operated by the French and Americans. A run to ‘work up’ the ship ahead of her official maiden voyage became a propagandist’s delight when she had to go to the rescue of a British collier sinking in heavy seas. This book includes many images from that event. We see the Pegaway struggling to stay upright and the dramatic and ultimately successful attempt to rescue her crew. This sort of stuff was an ideal distraction for the continuing international tensions over Austria where the Anschluss was still very much major news. The Sudeten crisis was already bubbling. Negative publicity about the crackdown on Jews and undesirables in the newly renamed Ostmark could be assuaged by positive stories and something like this was most welcome to help polish the façade of Anglo-German relations. That’s all very clever, but first and foremost Mr. Petruskevich sets out to tell the story of a ship. His latest book is crammed with superb archive material, some of it in color. We learn a good deal about the man she was named after and how he was shot dead by an angry Jewish man seeking retribution for Nazis excesses. Construction and launch are covered in detail and the range of material is a testament to the work of the author at the Wilhelm Gustloff Museum. We see everything from crockery to special postage stamps in addition to a large number of images of the first rivets going in and the fitting out phases of the construction. The launch was a stunning occasion where Adolf Hitler watched Hedwig, the widow of Wilhelm Gustloff, name the ship in honor of her late husband. Archive footage of great ships being launched is always immensely satisfying to see. This is matched by ephemera of the occasion, items that must be very rare today. The museum appears to have tons of this stuff. I was particularly drawn to the sailor’s logbook of a man named Hans Conrad. It looks broadly similar to the last book used by my grandfather up to the time of his death on active service in 1941. Personal items like this remind us that the ship was a huge community, a living thing; and this is why there is something so special about ships even after their demise. This is a terrific book. I liked the first one very much, but there is more substance here and it gives me great confidence in future installments. Mr. Petruskevich clearly has a deep passion for his subject and I continue to be impressed with his sense of style in the layout and the discipline he uses to be economical with his treasures. By sticking carefully to a plan he can ensure continued interest in his project as he drip feeds gems to admirers of maritime history. She may have been a Nazi ship, but she was still a thing of beauty and in many ways the National Socialist aspect of her life and death does not detract from her aesthetic qualities or her human story. This book is available to buy through Blurb. I have consistently advocated the joys of self-publishing and this is the epitome of the very best of that process. Mr. Petruskevich has improved on his opener and has managed to avoid the minefield of the difficult second album. I am glad about that because it gives me hope for the nonsense I am wrestling with away from my WHO gig at the moment. If you are into maritime history or the minutiae of the Nazi state or maybe you are just seeking inspiration for your own personal masterpiece, do yourself a favor and support this project. You will not be disappointed.